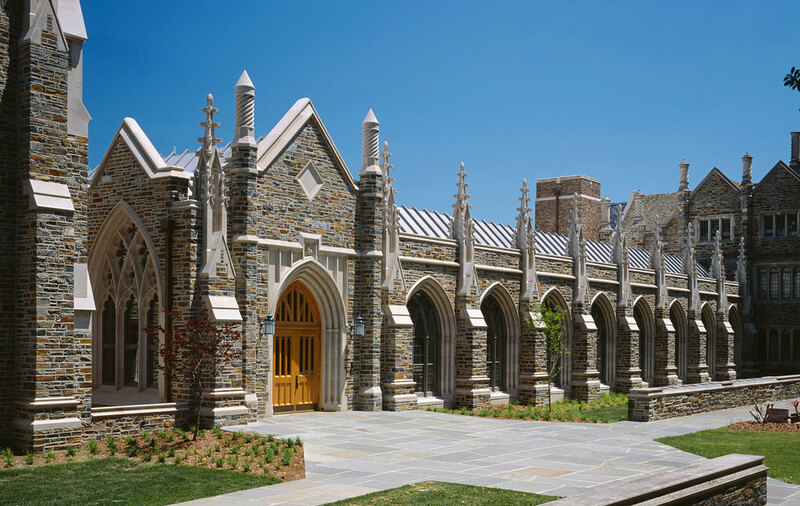 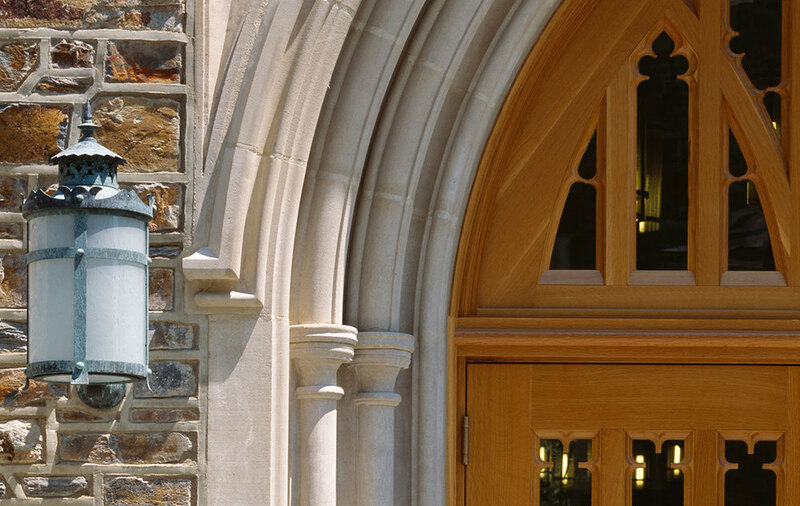 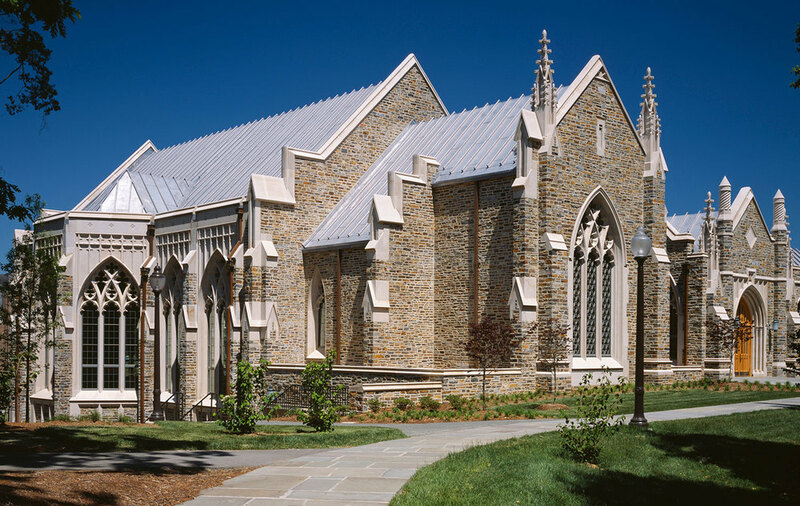 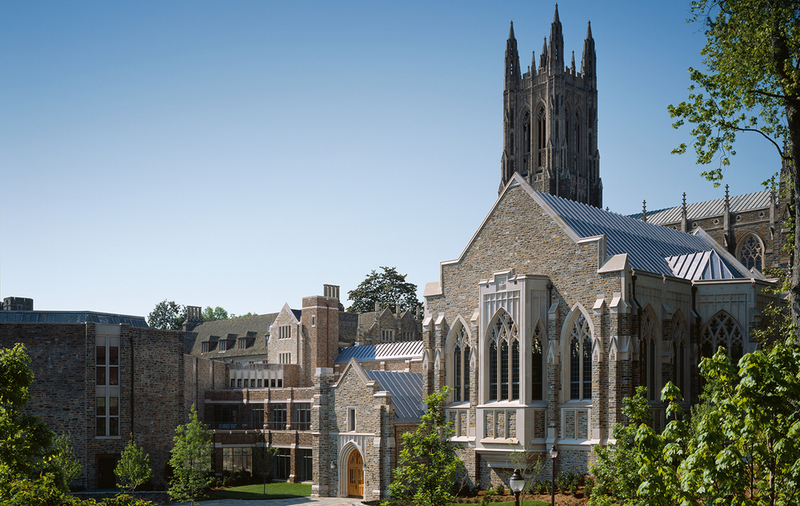 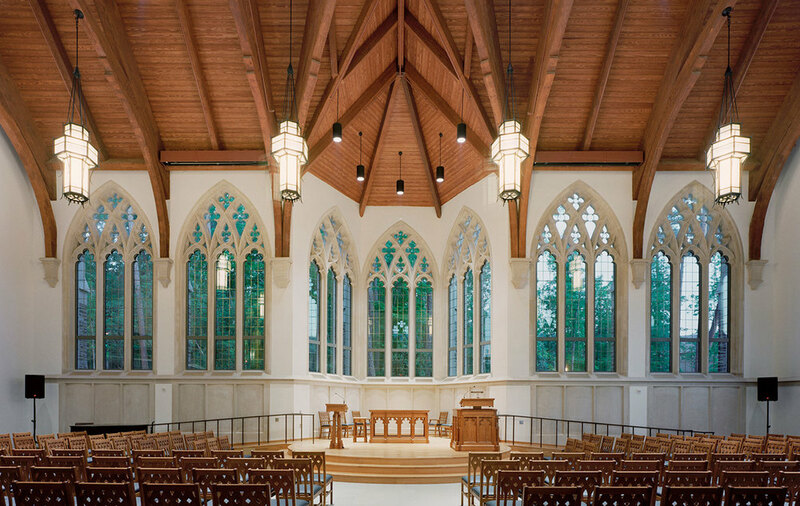 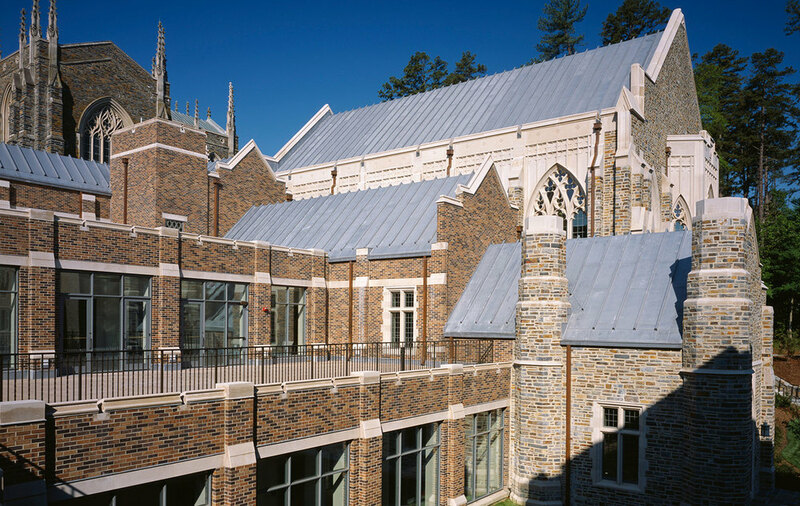 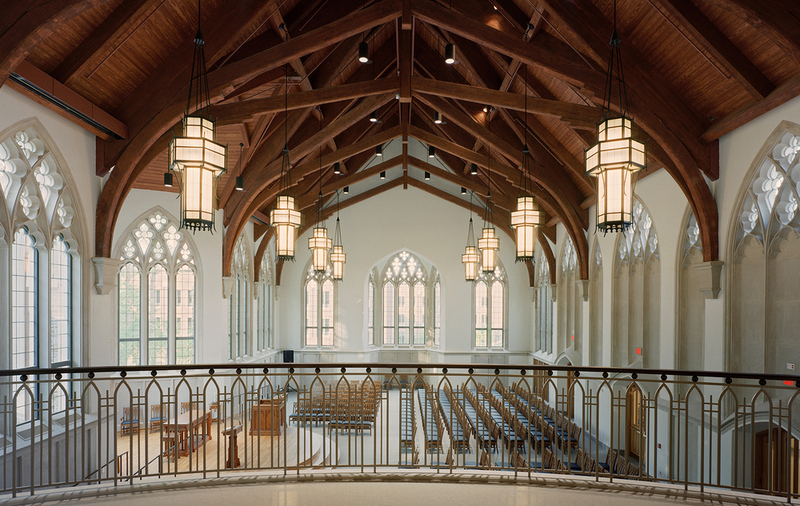 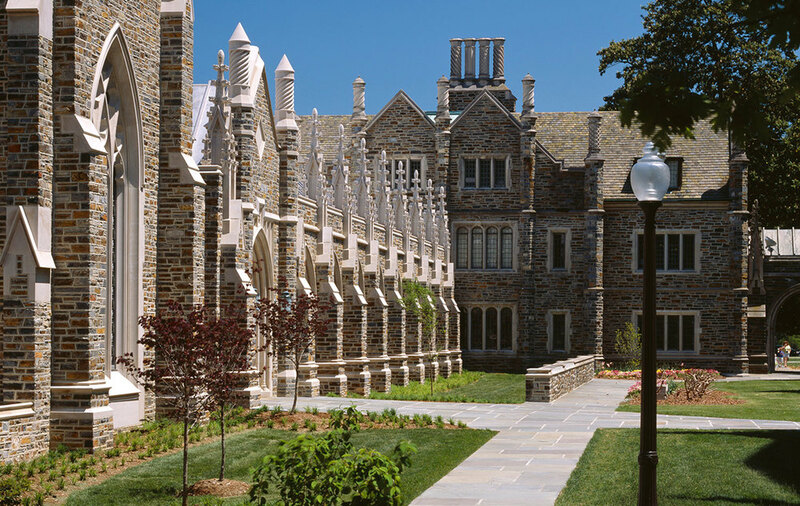 The Divinity School addition is located below the Duke Chapel and the "New Divinity" wing (built in 1970) and is between the entrances from the Memorial Garden and the entrance from the parking to the north. 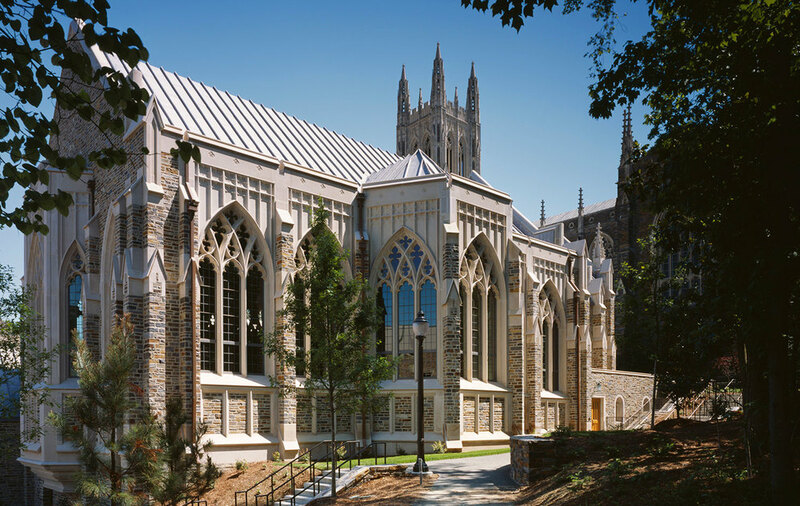 Locating the main floor of the Chapel on the mid-level reduces its height relative to Duke Chapel, producing a massing that comfortably cascades down the hill. 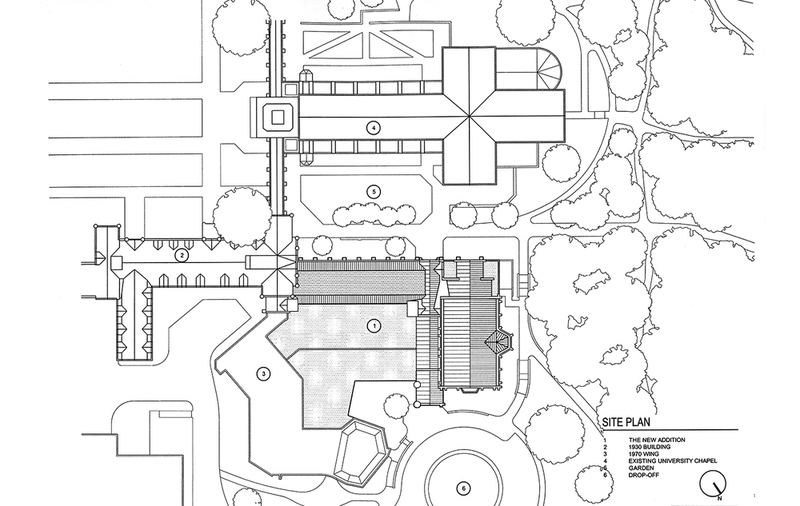 The design creates a more centrally oriented arrangement, radial rather than linear. 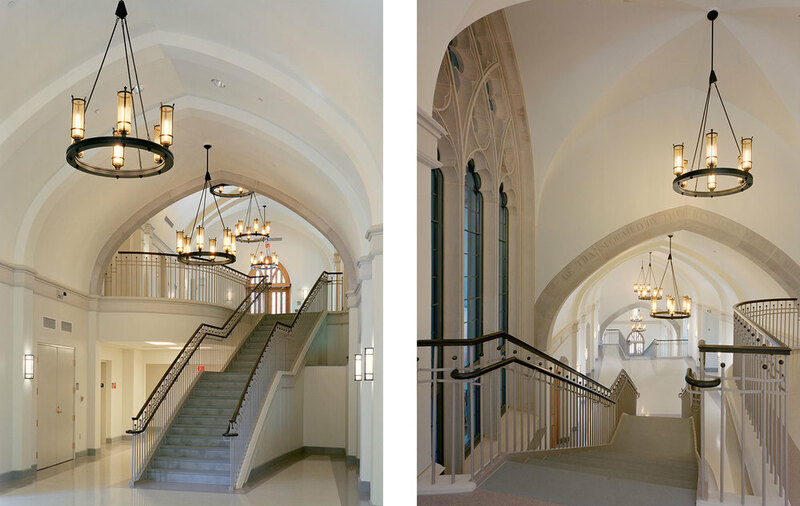 New focus spaces or circulation hubs were incorporated in the plan at the entrances and adjacent the new Chapel, Refectory/Bookstore area.